The holiday weekend has finally arrived. I am sure a lot of you go on vacation or go to parties. But lets not forget the important part… the food. This weekend will be filled with Burgers and hot dogs. But if you’re looking for something easy and fun to prepare, why not have some mussels on the table for guests to pick on. 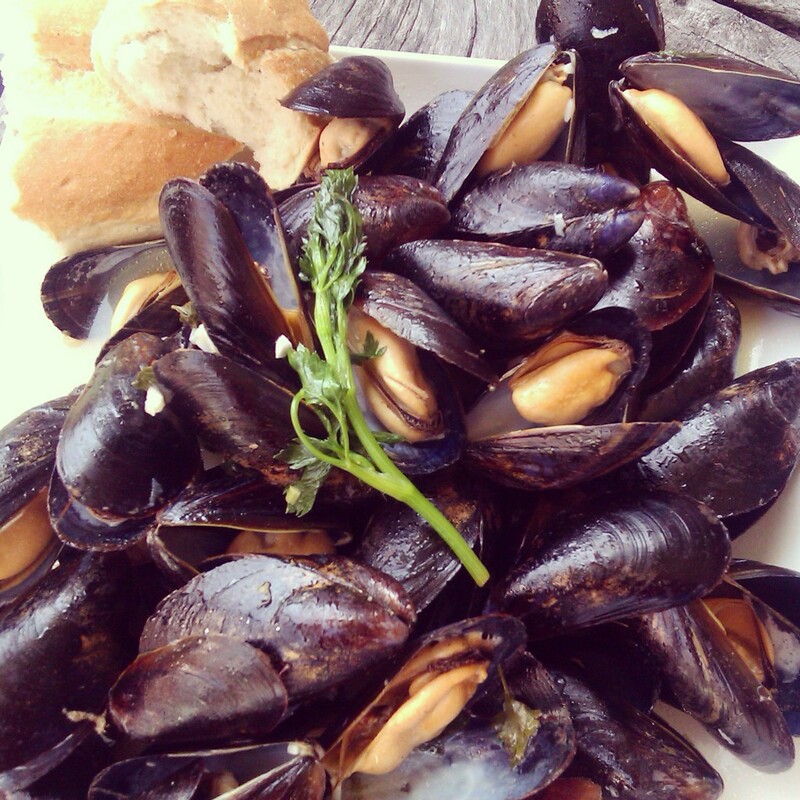 I posted a mussels recipe last year but this one is down right easy with not a lot of ingredients. Enjoy and make sure to have a nice bread baguette to cut into pieces for dipping. These go great with a nice glass of Pinot Grigio or a cold beer. Previous Post Vinturi White Wine Aerator Giveaway! This is one of my favorites! I just might have to stop at the fish market on the way home today. Mmm, one of my favorites! We have just gotten to Maine where mussels are fresh out of the water. One of my absolute favorite dinners is mussels with a salad and thick slices of crusty bread for dipping. Mmm, I’ll mirror the other comments and chime in that this is absolutely one of my favorite meals!